ARJUN Rampal who is considered as one of the most versatile actors in the industry will soon be seen in a biopic which is based on the life of gangster turned politician Arun Gawali. The trailer of Arjun Rampal starrer ‘Daddy’ is out and people are now curious to perceive the story of Arun Gawali. The Actor-producer Arjun Rampal opens up about his upcoming film, Arun Gawali and more…. 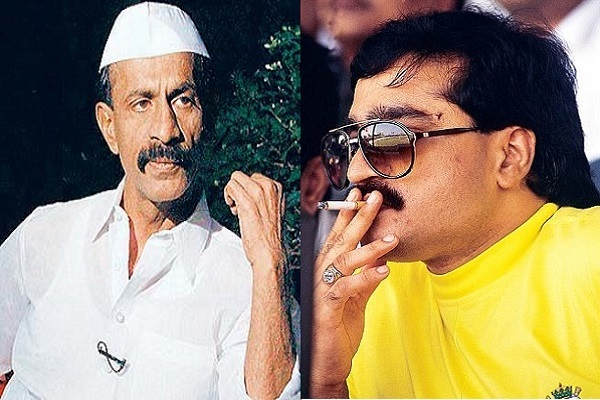 One hears that you were planning a biopic on another gangster when you switched to doing one on Arun Gawali ? Yes, three years ago, director Ashim Ahluwalia and I were planning a film on another don when some guys approached me to play Arun Gawali. They assured me that they had the rights and showed me some computer images which brought out the likeness between us. But the script was terrible, one of those completely fictitious accounts with none of the ‘realness’ of a biopic. I didn’t want to be this guy in a white-kurta pyjama and cap, climbing cables. Even the dialogues were filmi ! If everything was out of sync, how come you still stepped in ? I started reading up on Gawali and found the material engrossing. The man had seen it all, his story spanned decades and I was hooked! What caught my imagination was that people call him “Daddy”. Usually they refer to a don as ‘Bhai’ or ‘Don’. I realised that although dreaded, he had another side which intrigued me. Buzz is, you rewrote the script ? I locked myself up in a hotel for two months and put a structure to the story and sent it to Ashim. Both of us then co-wrote the script. Somewhere along the way, the guys who’d approached me earlier didn’t have the rights so the project fizzled out. By then I’d done so much work on the script that I decided to produce it and approached his family, convincing them to give their nod. After that, I met the big man himself and got his blessings. Tell us about your first interaction with Arun Gawali. I met him when he was out on parole. The first few times, he was slightly sceptical and I understood that he’s reserved because of his colourful past. For him to accept that someone would be playing him in a film took some adjustment. Also, his story will be out while he’s still living. What’s your take on him ? He’s not flamboyant, doesn’t go to dance bars and blow up money on bar girls and mistresses. He’s spent half his life in jail but is a God fearing, family man. At home, there are photographs of Gods everywhere, he is always praying. He commands respect, thousands come to visit him when he’s on parole, yet he’s also dreaded. Mostly, he is quiet, well-mannered and soft-spoken, but you know he’s walked the dark side. After a few meetings, he started opening up to me. I assured him it wouldn’t be a propaganda story, I wanted to tell it the way it is, in a realistic manner. His consent convinced me this was a man with self-confidence. He is the only guy who stood up to Dawood Ibrahim. You started shooting before he had given his consent, why ? Why did you lock yourself away for a year-and-a-half ?